I’m pleased to welcome the newest member of the Streetsblog collective: Starting Monday, you can get news and commentary about safe streets, effective transit, and walkable development in the Mile High City by pointing your browser to Streetsblog Denver. Streetsblog Denver arrives at a pivotal moment. The city is growing at an incredibly rapid pace, and it desperately needs streets and transportation policy that respond to these changes with intelligence and foresight. While there’s a huge grassroots appetite for walkable, bikeable neighborhoods and excellent transit access, for the most part the city’s streets remain stuck in the cars-first status quo. Working with an energetic advocacy community and the support of dedicated readers, Streetsblog Denver aims to change that. Streetsblog Denver is run by a new, Denver-based non-profit of the same name, under the umbrella of the Colorado Nonprofit Development Center. The site is possible thanks to the generous support of The Gates Family Foundation, the New Belgium Family Foundation, Zeppelin Development, Joel Noble and Julie Hock-Noble, and the Natural Resources Defense Council. Editorial guidance and technical support come from Streetsblog’s main office in New York. Many thanks to Streetsblog founding editor Aaron Naparstek for getting the ball rolling. 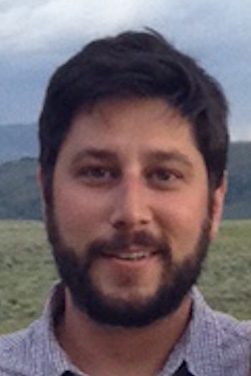 Leading Streetsblog Denver is editor David Sachs, who lives in Congress Park. David brings a background in journalism, communications, and political organizing to the job. As editor-in-chief of the Alexandria Times in Virginia, he regularly covered transportation and development. David’s been hard at work cultivating sources and generating story ideas, and starting next week he’ll be cranking out posts every workday. Denver came of age in the highway era, and its streets still reflect that. Wide, car-centric roads like Colfax, Broadway, Colorado, and Federal feel more like Autobahns than functional urban streets. Key measures of street safety are heading in the wrong direction, with pedestrian deaths on the rise. While the city has a reputation as a bike-friendly place, the truth on the ground doesn’t measure up — bicycling on Denver’s high-speed streets will get your pulse pounding for all the wrong reasons. While transportation planners have done well connecting the region’s suburbs to downtown via rail, it’s not enough. The Regional Transportation District still caters to Denver’s suburban past. Its rail lines circle the city but barely penetrate it. For city dwellers, Denver’s neighborhoods remain fragmented by a landscape designed for cars, without effective transit to connect them. But as a young city, Denver is also very capable of envisioning a new way of doing things. Some planners inside city government are already pushing for change. The city recently committed — on paper, at least — to invest in better streets for walking, biking, and transit. A new blueprint to make the city more walkable, the Denver Moves pedestrian plan, is set to be developed this year. Organizations like the Downtown Denver Partnership have worked with the city to bring Denver’s first protected bike lane to 15th Street — a good start — and there are concrete plans for more. Meanwhile, planners are getting serious about creating a better east-west transit connection by prioritizing buses on Colfax. What the city lacks, so far, is top-level political leadership willing to take decisive action on good ideas. That starts with Mayor Michael Hancock’s administration. The City Council, RTD board members, and the Denver Regional Council of Governments wield significant influence as well. Streetsblog Denver will hold public officials accountable to their promises, keep readers plugged in to the latest news and developments about these issues, and make the case for streets that are safe, efficient, and equitable. We’re excited to team up with Denver’s many dedicated advocates in this effort. The city has both a powerful organized voice for better bicycling policy in BikeDenver, and a strong bike culture that does things their own way. A newer organization, WalkDenver, is committed to making the city safer and better connected for pedestrians. And the Downtown Denver Partnership is putting its weight behind good urbanism as well. The whole crew of allies is too long to list here, but Streetsblog will be counting on all of them for insightful research and perspectives, and we’ll use our platform to get the word out about their good work. As in all Streetsblog cities, in Denver we’ll be relying on a smart, impassioned readership to share their ideas with us. If you’ve got a question or tip for Streetsblog Denver, email David Sachs. To stay connected, follow Streetsblog Denver on Twitter and like us on Facebook. Are you interested in a few occasional pieces from a Fort Collins perspective? I love how Streetsblog can’t afford to keep the Chicago edition running, yet is continuing to start new local versions. New Belgium is in Fort Collins. Talk to Budweiser.